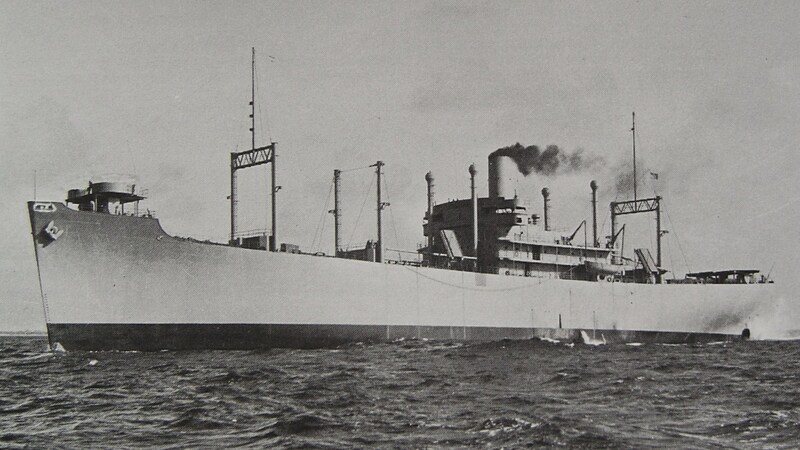 Laid down, date unknown, as SS Sea Hawk, a Maritime Commission type (C3-S-A2) hull under Maritime Commission contract (MC hull 391) at Ingalls Shipbuilding Corp., Pascagoula, MS.
Decommissioned, 6 March 1946, at Mobile AL. 448k SS Sea Hawk under way during builders trials near her builders yard, Ingalls Shipbuilding Corp., Pascagoula, MS, date unknown. 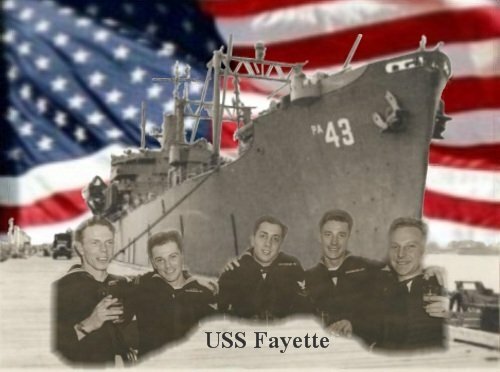 85k USS Fayette (APA 43) off the New York Navy Yard on 21 October 1943. This early Ingalls-built unit retained the rig delivered by Ingalls: a goalpost and pair of kingposts forward and a pair of kingposts and a goalpost aft. 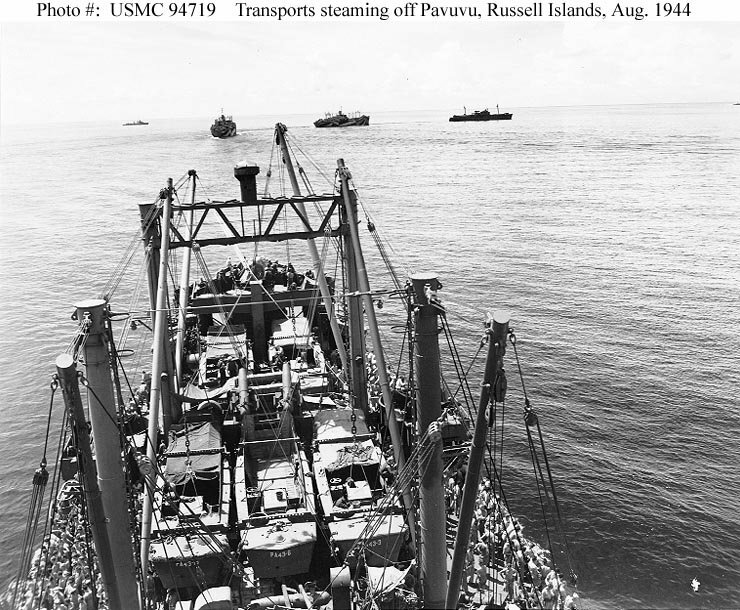 151k Transports steam in column off Pavuvu, Russell Islands, August 1944, probably during exercises preceding the Palaus operation. 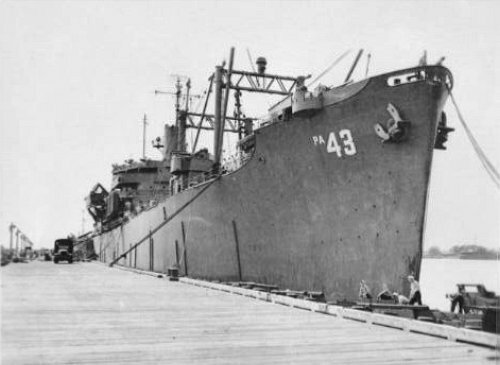 Photographed from USS Fayette (APA 43), looking forward, showing her kingposts and LCVPs stowed on deck. 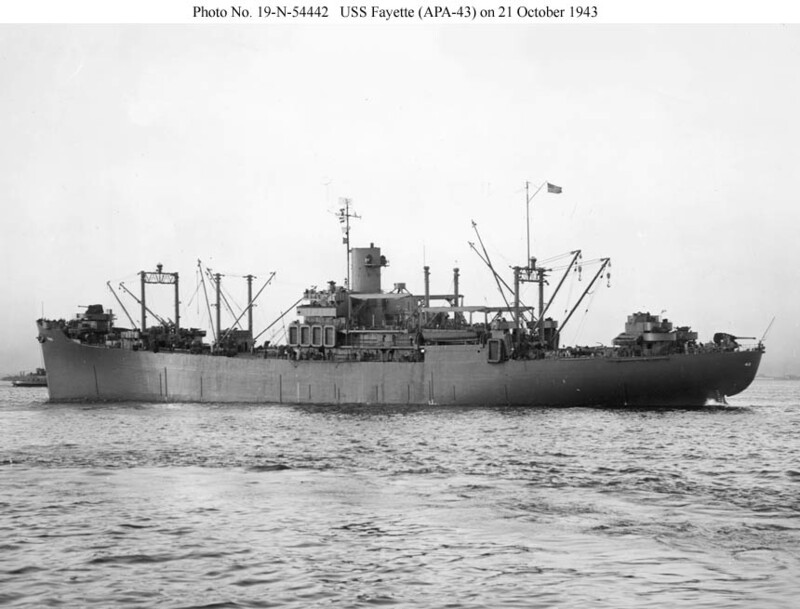 USS Pinkney (APH 2) is leading the column, followed by USS Elmore (APA 42) and USS DuPage (APA 41). Photo by Sgt McBride, USMC, 1st Division.